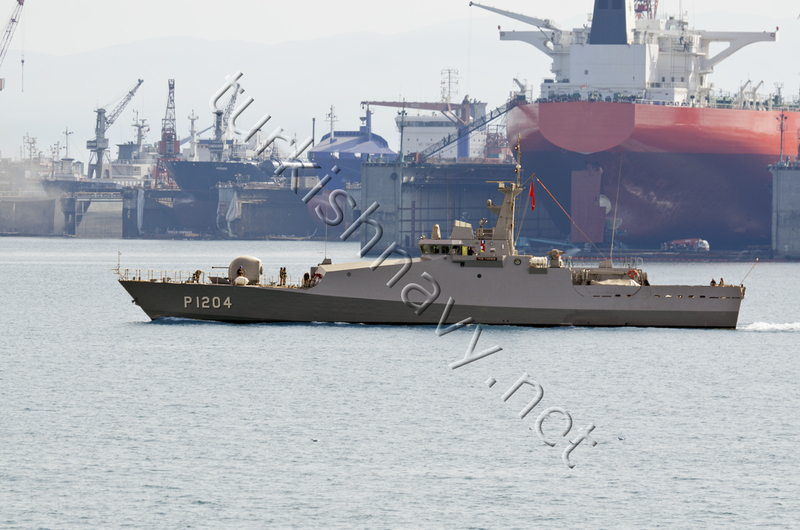 On 23 April 2013 I have sighted the 4 boat of the Tuzla class patrol boats P-1204 TCG Tarsus. She was returning from sea trial. It is interesting to note that while she is manned by naval personnel and under the command of an officer she returned to the builder’s yard. The ASW rocket launcher at aft seem to be not installed. Dear Devrim, it has been a couple of years since we corresponded, hope everything is well with you. I still follow your Bosphorus Naval News and enjoy the beautiful pictures. As you mentioned in your last e-mail to me, you would appreciate any corrections in the English text. when referring to the boat being under the command of a naval officer. Keep up the good work, and best wishes to you. Hi Kamuran, Nice to hear from you again. Thank you for the correction and the explanation. I have corrected my entry. Thank you for your help and support.